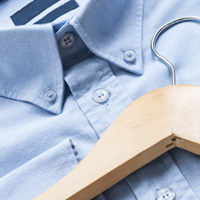 Dry cleaning is simply another method used to clean fabrics. It differs from laundering in many ways, the main difference being that the dry cleaning process is NOT water based. Instead of using water, dry cleaning machines use special fluids at very high temperatures that allow for the breakdown of soils and stains. Also, apart from being able to remove stains that water simply cannot, dry cleaning also preserves the “like new” appearance of your clothing items. 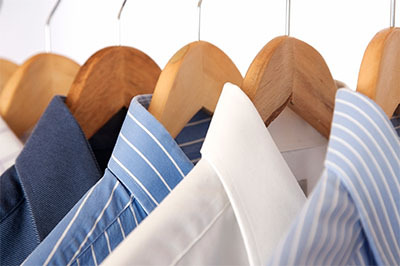 Unlike laundering, dry cleaning prevents shrinkage, it preserves the color of your items, and it prevents the texture of your item from changing. Should all items be dry cleaned? 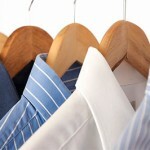 Certain materials, such as wool and silk, should always be dry cleaned. Washing items made of these materials is a recipe for disaster. With that said, there are exceptions. Due to the high temperatures a dry cleaning machine uses, items that have special beading or stones glued on are usually not safe to dry clean. Also, for heavily soiled items, dry cleaning is not recommended. If you are feeling unsure about an item, we highly recommend that you visit our store so that our professionals can inspect it and give you a detailed explanation of what we can or cannot do. If you cannot make it in, feel free to give us a call and we will gladly provide you with as much help as we possibly can.